Anyone who has read Robert Lupton’s little book “Return Flight” knows that gentrification of a lower-income neighborhood can have positive benefits so long as there is enough vacant land to accommodate these new wealthier neighbors. With them can come new job opportunities, more diversity of shopping opportunities, more vocal support for quality schools, and the list goes on. However, the downside, which was recently highlighted in a newspaper article on affordable housing, is that a neighborhood’s property values typically appreciate as demand for land and housing increases, thereby increasing the value of the asset of interest. Families in some of our lower-income neighborhoods heretofore stuck with property that was slowly decreasing in value suddenly see an uptick and sell out, eventually leaving the neighborhood with few lower income households. Members of these lower-income households typically make up the bulk of the work force in an urban community. It is encouraging that the city of Greenville is contemplating taking major steps to develop strategies to preserve affordable, workforce housing within the city’s limits to avoid this loss of workforce housing. 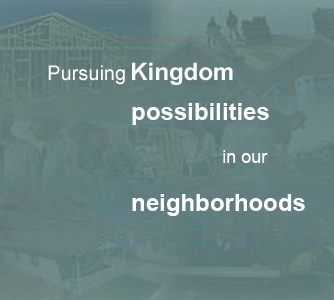 Presently a number of nonprofit organizations are partnering with the city to implement a federally funded Neighborhood Initiative Program. The nonprofit partners are identifying abandoned homes in a number of the city’s target neighborhoods and making offers. In recognition of the need to preserve workforce housing, the city is requiring that a 50-year deed restriction be placed on all homes purchased under the Neighborhood Initiatives Program. This is an admirable and visionary step to preserve affordable workforce housing within the city limits. This program also offers enlightened property owners the opportunity to sell their properties not only to receive a reasonable payment, but also to contribute to the long term availability of land in the City for building more affordable workforce housing here. However, even 50-year deed restrictions are obviously not a permanent answer to what inevitably will become increasingly a crisis in Greenville’s future. Just as we need enlightened property owners to think about selling their property for the good of the community and not just for what they can get for their property, we also need an enlightened workforce. The stereotypical view — that purchase of a single family home will result in dramatic increases in home’s valuation leading to greatly increased wealth on sale of the home — remains unfortunately the core dream of a new homeowner. This dream is presently a foundational tenet of our society. It is an unrealistic dream that is presently undermining workforce housing across the country in urban markets experiencing rapidly increasing demand for housing. There are solutions to these challenges, but they require a transformative shift in our housing priorities. In 2011, our South Carolina Legislature passed legislation that permits creation of nonprofit community land trusts. In a land trust model, the nonprofit purchases land for housing development and then provides a long-term ground lease to the workforce household interested in building a home on the property. The household only pays property tax for the structure, not the land. The nonprofit places a deed restriction on the home such that the home cannot appreciate in value more than a set formula geared to project the growth of wages for the workforce in that community. When the family is ready to sell the home, only another income-qualified workforce family can purchase the home and the non-profit assists the seller in locating that purchaser. The result of a properly developed community land trust model is that each home built on land owned by the trust remains affordable to future workforce families in perpetuity. This land trust solution is only one of a number of initiatives that a community can take to solve its workforce housing affordability problems. All such solutions require workforce families to place their financial security and the well being of workforce families that follow them as their first priority. Preservation of workforce neighborhoods and pride in community must take priority over unrealistic dreams of inevitable financial enrichment. Years ago, Mayor Knox White ran on a platform of Neighborhoods First. Never has such a vision been more important to Greenville’s future success as a community. Placing neighborhoods first reminds us all to act in the best interest of our neighbors, not just ourselves. 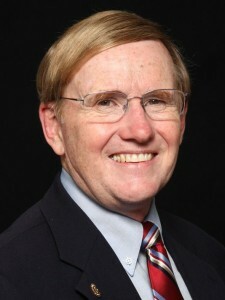 Tom Faulkner has been a community development consultant since 1987. He served as the first president of Greenville Housing Futures, Inc. and Renewal and Development Administrator of the city of Greenville. He can be reached at tomfaulkner@kcommunities.org. In the next 10 days or so, Anderson County officials will send certified letters to dozens of people who own dilapidated, burned, uninhabitable houses. And they will ask those owners if they are willing to sell.